Named after Barcelona’s central market and inspired by the city’s colours and flavours, Boqueria is a Spanish restaurant and tapas bar with a distinctly European vibe. Much like its two joints in New York City and Washington, Boqueria, situated on the 7th floor of LKF Tower, specialises in bite-sized tapas and Spanish wines and spirits. 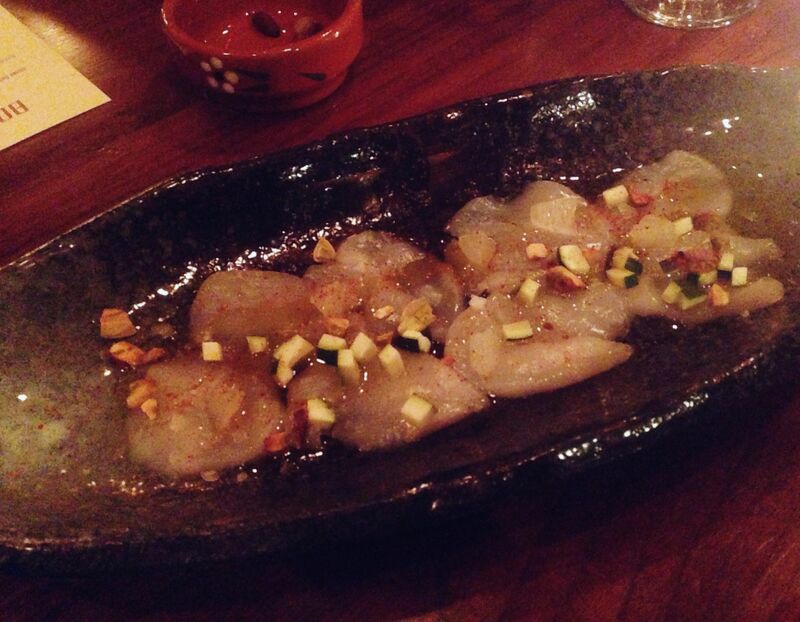 With its dimly lit interior and geometrically tiled walls, Boqueria projects a warm, cosy atmosphere that’s perfect for a nice dinner or a fun night out. The low hanging lights and large mahogany tables create a rustic, homely feel, making you forget you’re steps away from the busiest nightlife districts of Hong Kong. 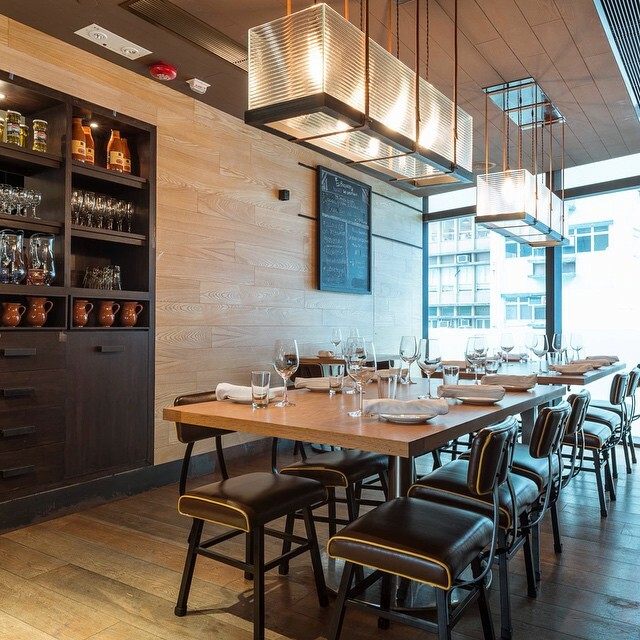 For $488 and offered only from Monday to Wednesday, diners can be treated to their tapas menu carefully paired with selections from their all-Spanish wine list. Put together by Chef Robert Petzold, the pairings enhance the flavours of the tapas without being overpowering in taste. The menu, aptly named ‘Taste of Spain’, starts with Acorn-fed Iberico Ham and Sheep’s Milk Cheese paired with Manzanilla Sherry. The ham, which wasn't too salty like Iberico often is, balanced out the creaminess of the cheese nicely and washed down delightfully with the light bodied sherry. The Cured Sea Scallops with Zucchini and Espellete Peppers didn’t look promising in presentation but was a pleasant surprise. The satiny texture of the scallops contrasted well with the crunch of the vegetables, and is complemented nicely by the crisp and refreshing taste of the Albariño. 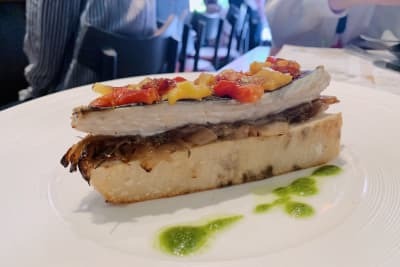 Toasted bread is a commonly served tapa due to its versatility of having virtually any ingredient atop it, but the toast points were a bit of a letdown. The goat's cheese in the Toast Point with Goat's Cheese, Grilled Vegetables, Egg and Piquillo Pepper was masked by the strong flavours of the egg and the vegetables, and the Boquerones (white anchovies) Toast Point with Roasted Tomatoes and Spicy Olive Tapanade was average at best. Next up, the Iberico Pork had a rich, savoury zest but wasn’t quite as tender to the bite as I had expected it to be. Fruit on food is a little iffy to many (pineapple pizza - no thanks) but the peach segments here added a touch of sweetness to the dish and went charmingly with the slight saltiness of the pork. No Spanish feast is complete without paella, one of the hallmarks of Spanish cuisine. 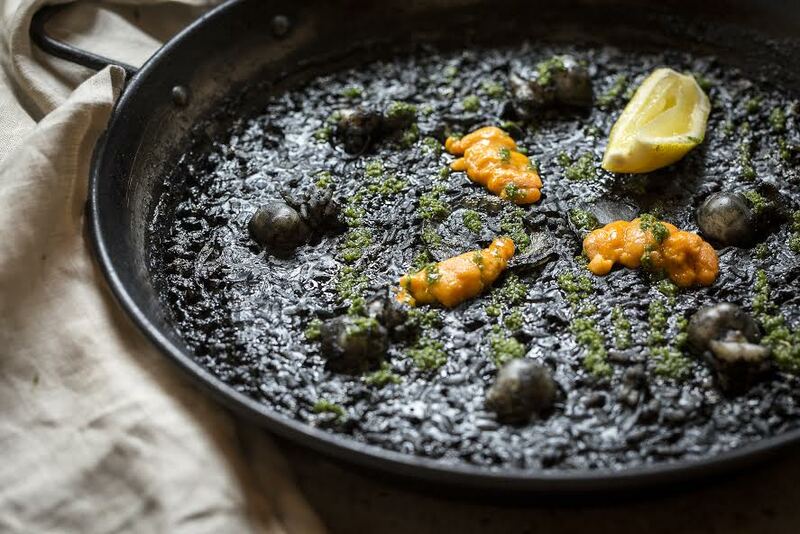 High hopes were held for the Squid Ink Paella and the said hopes were subsequently lived up to. 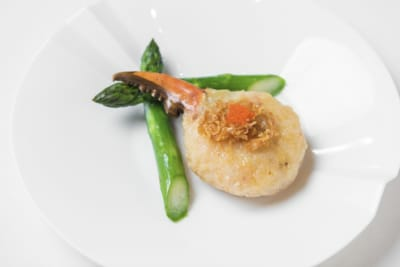 The jet black colour of the rice wasn't the easiest on the eyes, but the medley of shellfish flavours comprising the squid ink, sea urchin, cuttle fish would have seafood lovers weak at the knees. The paella was paired with the only red wine – a Rioja – of the night, which had delicately fruity tones that made it palatable even for less discerning of drinkers. 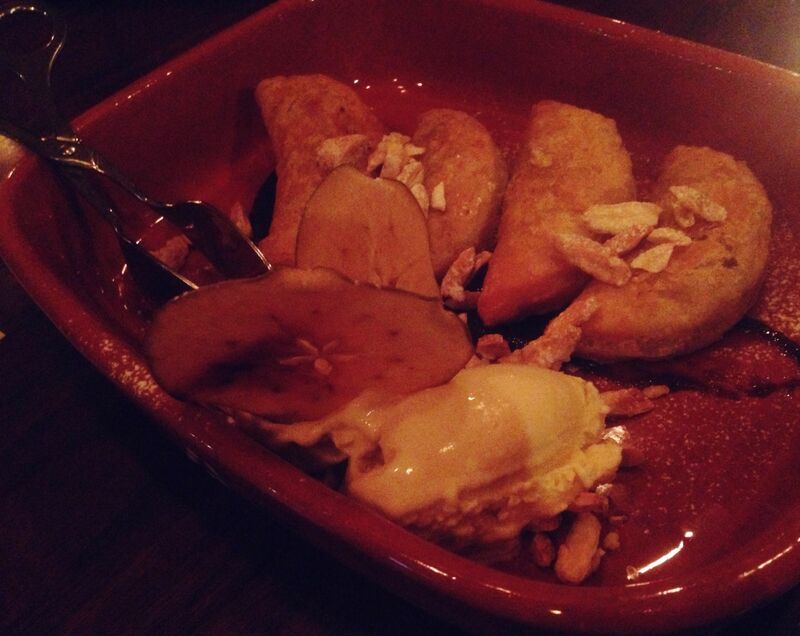 The menu ended with Apple Empanadas with Almond Ice Cream, which was decidedly the highlight of the night. The golden pastry encased around the caramelised apples was crispy on the outside and velvety on the inside, and the almond ice cream was bursting with the earthiness of the nut with every bite. We couldn’t have enough of it, but as they say, all good things come to an end. The dessert wine on the other hand was excessively sweet and tasted a little bit like syrup that went down with a burn. This did not come to an end as it was simply too sweet to be stomached wholly. 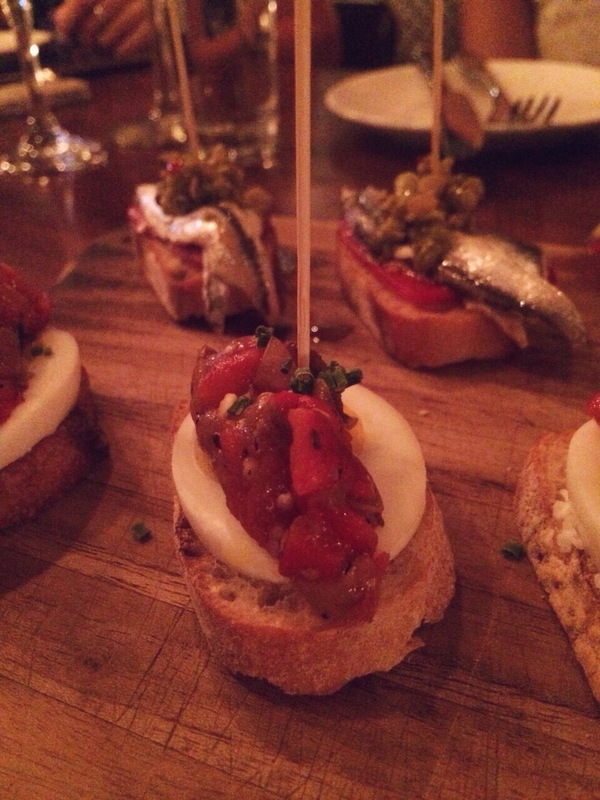 Overall, Boqueria should make it high up on your list if you’re looking to have authentic Spanish fare. The service was great and questions you might have about the menu will be quickly and thoroughly answered. 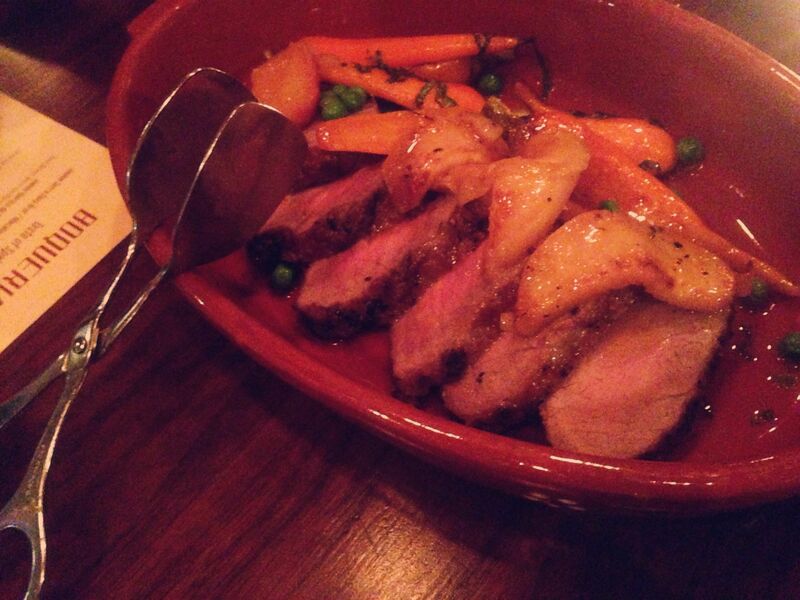 The food was generally good on the whole, some better than others, but portions were consistently on the small side. The paella especially, which is expected to be the main course, wasn’t much at all when shared between four people. They are tapas after all, but unless you come having eaten something already, you probably will not leave feeling completely satiated.